With dairy being the stumbling block in getting a full free trade agreement (FTA) between India and New Zealand across the line anytime soon, the in-negotiation Regional Comprehensive Economic Partnership (RCEP), maybe the way forward for India-NZ trade ties to grow. This is according to Robert Barker, Chairman of India New Zealand Business Council (INZBC), who was speaking on February 22, at the Council’s first event of the Christchurch chapter this year. 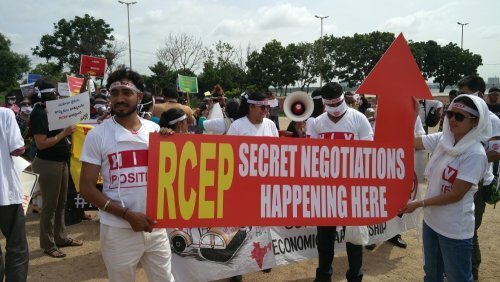 There are 16 countries involved in RCEP : the 10 members of ASEAN—Brunei-Darussalam, Cambodia, Indonesia, Laos, Malaysia, Myanmar, the Philippines, Singapore, Thailand and Vietnam plus the six countries with which ASEAN has free trade agreements—Australia, China, India, Japan, Korea, and New Zealand. These six countries are known as the ASEAN Free Trade Partners (AFPs). Meanwhile, the event called India Unplugged saw two notable speakers sharing their insights on the Indian market. First was Jo Pennycuick, Managing Director, Redesign Group – which works in the hospitality, commercial and retail sectors designing spaces within airports and malls around the world. “We have had the opportunity to work in many airports in India including Delhi T3, Bangalore, Chandigarh, Hyderabad and Mumbai,” she said. Gareth Williamson, Airline Development Manager, Christchurch Airport, who to the disappointment of the gathered crowd said, “The Indian Government must allow India’s network carriers to operate free of constraining regulations around growth and ownership, and to ease border costs for travellers. The evening concluded with an address by Hitesh Sharma, who took over as the Head of the Christchurch chapter in January this “I am excited with the prospect of supporting Canterbury businesses expand their horizons in the Indian and Asian markets. Having the INZBC platform will allow us to connect businesses in New Zealand with opportunities available in India and vice versa. The next INZBC event is our annual summit in Auckland. But we will also plan another event in Christchurch later this year,” he said. year, and had organised the event.